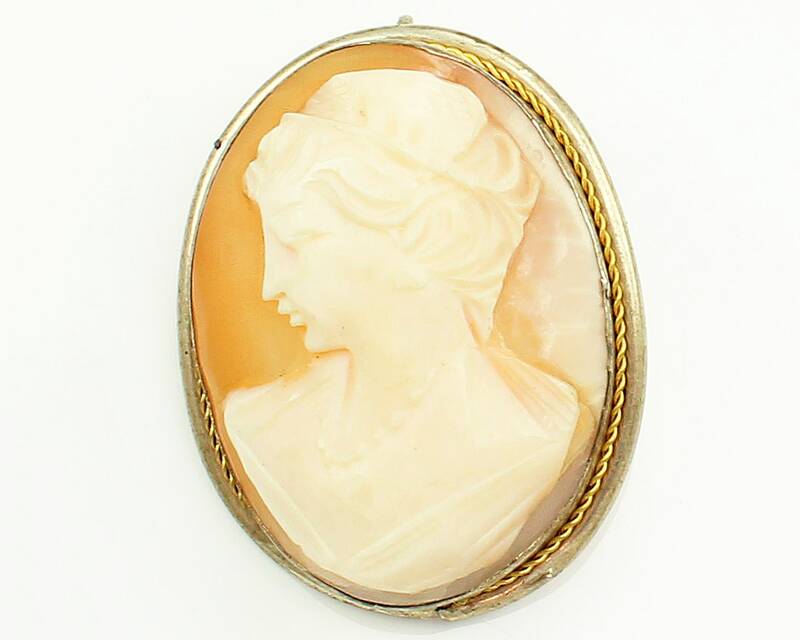 Antique Hand Carved Shell Lady Cameo in 800 Silver Frame with 10K Gold Wash. 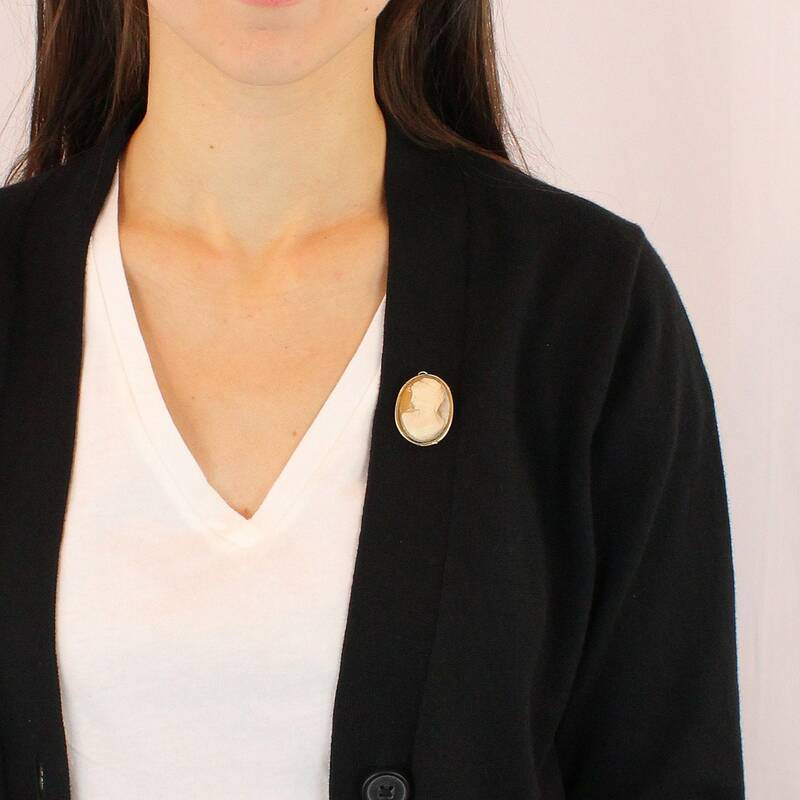 This carved cameo features a lady with up-do, beaded necklace and earrings. 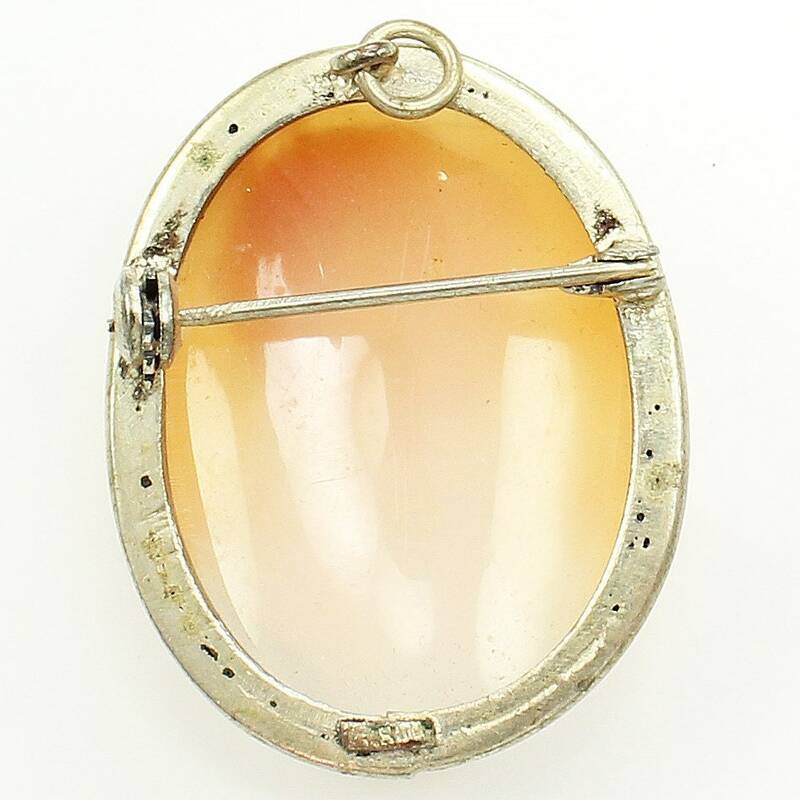 A 10K gold-washed .800 silver frame with rope twist trim is fitted to the cameo. The piece has both a rollover safety pin stem and a jump ring bale that wear as a pendant.